Vigorous exercise in sport places some people at risk of heat illness. 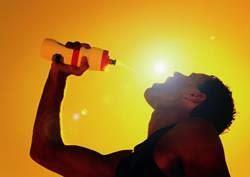 Even in cool weather, heat illness may occur in those exercising at high intensity for more than 45 minutes. Heat illness may also occur with prolonged exposure to hot weather.